Acrylic signs are perfect for many businesses and retail stores as they provide a clean, easy-on-the-eye way to display the business’ logo without seeming intrusive. Acrylic signs always give businesses and buildings a professional look, and ours are no exception. We cut and install our acrylic signs using a thick plastic and print the logos or signs at a high standard that we strive to maintain across all of our products, ensuring the very best looking sign possible for your business. Why Choose Our Acrylic Sign Printing & Cutting Service? Acrylic signs are perfect for businesses and doors, giving them a professional, sleek and modern look. We expertly print your logo, text or image on to the acrylic plastic exactly how you want it. Our store in Didcot, Oxfordshire is perfectly located to reach a wide range of customers, giving them easy access to collect their order or, if unavailable to collect, have their acrylic sign delivered right to their door. 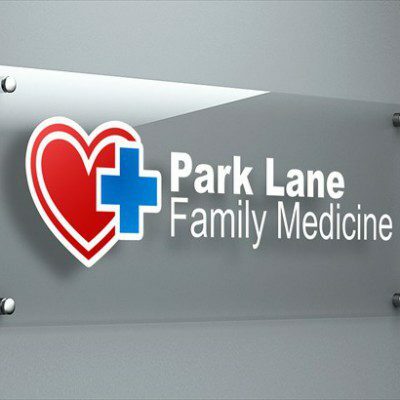 The acrylic material gives the signs a clean look, resembling glass but being far more durable, as well as being more affordable than a glass sign, ensuring that you get great quality at a great price. Our acrylic signs are designed to be long lasting and durable, perfect for displaying indoor or in sheltered areas outdoors. We offer delivery options to suit you; come in and collect when the sign is complete or we can have it delivered right to you. Acrylic signs are sophisticated, and provide a great return on investment in terms of the visual impact and impression that they can leave on your customers. For a relatively low and very affordable cost, acrylic signs can offer a necessary touch of class to any business or workplace. Are acrylic signs suitable for outdoor use as well as indoor? Yes, acrylic signs are usable both indoors and outdoors, however we recommend that the sign be shaded or sheltered when outdoors to avoid degradation. Do they need to be cleaned differently due to the laminate? No, all you need to clean an acrylic sign is a standard cloth – we recommend non-abrasive to ensure the lasting condition of the laminate – and some soapy water. You should clean your acrylic signs regularly to keep them looking like new. Why should I choose acrylic over another signage material? Acrylic is both lightweight and sleek, resembling glass while having roughly half the mass and more durability. It is extremely difficult to shatter an acrylic sign, whereas glass signs may seem fragile or have risky placement, putting them at risk of breaking. The lightweightedness of acrylic makes it very easy to mount on a wall and give a floating look to the sign.